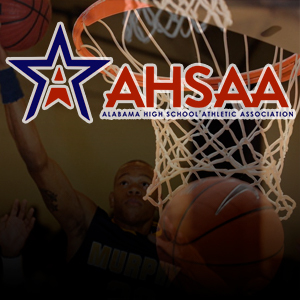 MOBILE, AL – Eight high school basketball players from the Mobile area have been named to the All State boy’s basketball team. In Class 7A, Alma Bryant’s Braxton Barnhizer and McGill Toolen’s Matthew McNeece made the All State second team. Baker High School’s Vincent Douglas made All State third team in Class 7A as well. LeFlore’s De’Antoni Gordon made the Class 6A second team All State, and Faith Academy’s Logan Foutz made Class 5A’s second team All State. In Class 4A, UMS-Wright’s Trey Bonham made the All State second team. Mobile Christian’s Jeffrey Griffin made All State third team in Class 3A. Saraland High School’s J.J. Taylor is an honorable mention for Class 6A. Additionally, the Coastal Alabama Regional All-Regional team for high school basketball has been announced on AL.com. The Coastal Alabama Regional Player of the Year is St. Luke’s senior Mark Wilcox Jr. and the coach of the year is Alma Bryant’s Mark Barnhizer. For more information, check out the full article HERE and tune in to Prep Spotlight Wednesdays at noon. next post: LISTEN: Bayside Volleyball Coach Ann Schilling on Prep Spotlightprevious post: The University of Maryland Baltimore County NAILED IT.